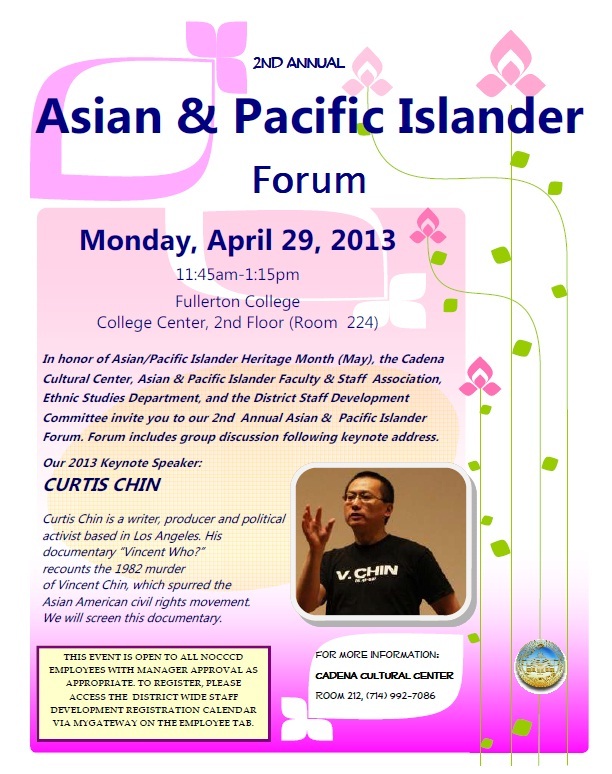 Documentary maker, Curtis Chin, will be the keynote speaker. 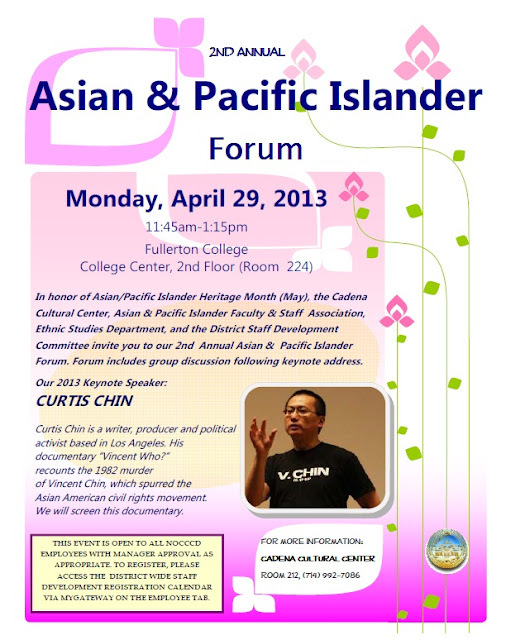 Mr. Chin produced the documentary, "Vincent Who? ", about a young man named Vincent Chin, 27, who was murdered in Detroit in 1982. He had been celebrating during his bachelor party with friends at a local bar when they got into an altercation with two white men. “It’s because of you we’re out of work,” they were said to have shouted, blaming them for the success of Japan’s auto industry. The men tracked Vincent down after he left the bar and bludgeoned him with a baseball bat.The men pleaded to manslaughter (down from second-degree murder) and were sentenced to three years of probation and fined $3,000. “Remember Vincent Chin” became a rallying cry for Asian-Americans of every background who protested in cities across the country for the first time. Students will have the opportunity to break into group discussions after the keynote address.